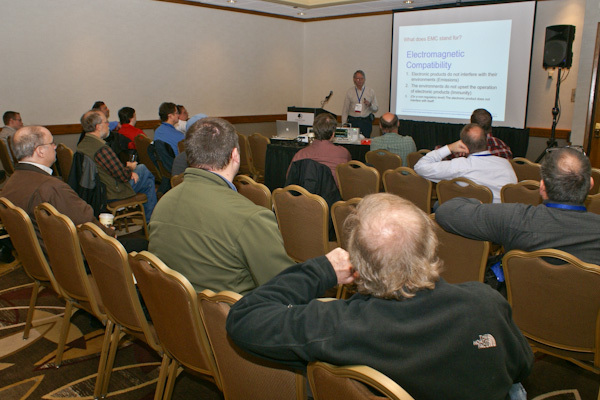 I recently returned from the IEEE Symposium on Product Compliance Engineering in Portland, OR, this last week. I had been invited by EMC Track Chair, Henry Benitez, to give a three-hour workshop on “EMC Cool Tools and Pre-Compliance Testing”, so was looking forward to meeting the other EMC track presenters, those who planned on attending the EMC track, as well as some of my counterparts in the product safety field. 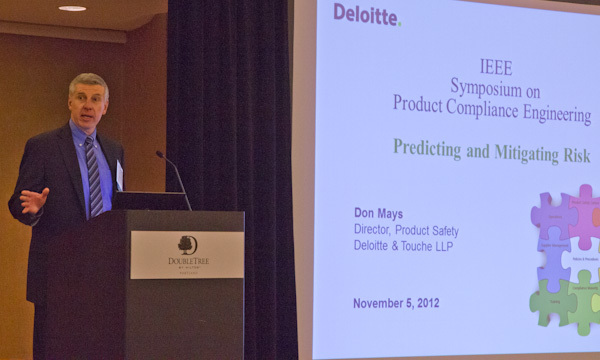 The conference was kicked off by Don Mays, Director of Product Safety at Deloitte & Touche LLP and formerly the Senior Director, Product Safety and Technical Policy for Consumers Union / Consumer Reports. He spoke on understanding the risks for manufacturers for product safety and what can happen if “things go wrong”. There were a number of different tracks – most involving product safety, so I pretty much stuck with the EMC track. Henry Benitez kicked things off the first day with a review of current EMC standards and then Leslie Bai followed up with Latin American EMC and wireless regulations. 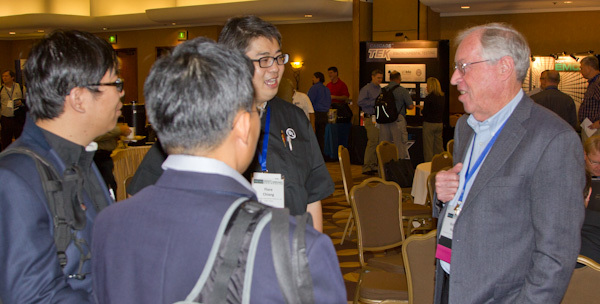 Mark Briggs ended the first day with more FCC wireless regulations and modular approvals. 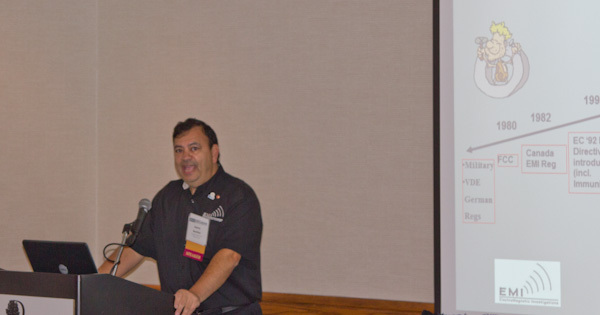 EMC track chair, Henry Benitez, reviewing EMC standards. 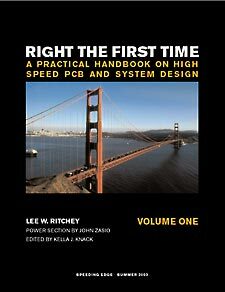 Day 2 included very interesting half-day presentations on PCB design by Mark Montrose and grounding and shielding by Elya Joffe. 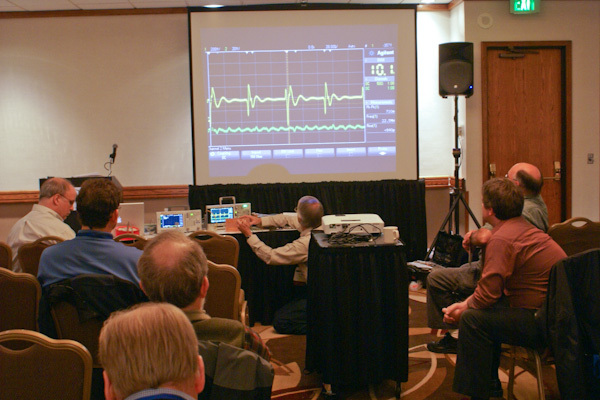 The final half-day included an informative talk on the “KISS” principle for EMC design and my three-hour presentation on “EMC Cool Tools and Pre-Compliance Testing”. Ken teaching the EMC “Cool Tools” talk. 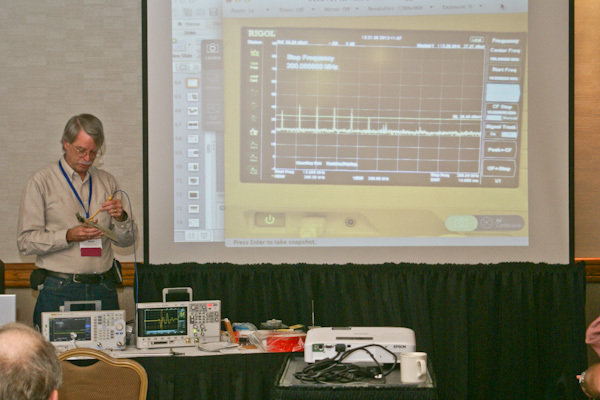 Ken demonstrating tracing harmonics with a low-cost H-field probe. Showing how a high-speed trace run over a split in the return plane can generate common-mode emissions on the board. Retired HP product safety engineer, Rich Nute, with an enthusiastic crowd. The conference web site is: http://psessymposium.org. 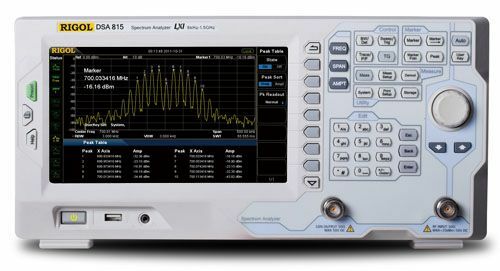 Figure 1 – The Rigol DSA815TG (with tracking generator).